Boo the dog has been taking the internet by storm with his miniature teddy bear look and huge wardrobe and the most fun dog products. He started off as a shaggy, energetic and lovable Pomeranian puppy when he was born on March 16th, 2006. Thankfully his owner the “human” was ready with her camera to capture all of it. His Facebook fan page is growing rapidly every day. Now with over 17 Million followers he has become more popular than many humans celebrities. His human put Boo on Facebook on May 11th, 2009. From there, Boo’s popularity grew quickly. He didn’t need any dog training to look this cute. He was born to be this cute with his looks and fun personality, he wakes up looking forward to putting on a new outfit. Boo the dog quickly became known worldwide as the cutest dog in the world, but who knew his adorableness would get him to over 17+ million fans and counting; easily adding a few thousand new fans a day. Boo currently lives in San Francisco, California; you can see his adventures in his second book Big Dog in a Little City. If you happen to be visiting San Francisco make sure you keep any eye out for the cutest little dog in the world going for a walk with his best friends Buddy and Blue. He has also become quite the world traveler appearing on TV shows and at events all over the country. All it took was a few celebrity mentions and a tweet from Kesha claiming Boo as her boyfriend (I was jealous) Kesha’s Tweet for him to become well known and grow to his first million fans. After that Boo’s charm and adorable look with his owner’s great photography skills allowed them to grow Boo into a worldwide celebrity, author and spokesdog. What Kind of Dog is Boo? Boo the dog is a teacup Pomeranian, with one unique distinction that has separated him from the rest of the Pomeranians and made him a celebrity. What makes him unique to other Pomeranians is his hair texture, which is coarse and thick, where his best friend Buddy has long and silky hair. If Buddy were to get the same haircut, he would look very different. It worked in Boo’s favor as he looks much cuter with the short hair and it’s much easier to wear all his fashionable outfits. Why does he have a Short Haircut? His fur was knotted and it had to be done, dog grooming products were not working for him so he needed to get the shaved haircut look and face trimmed, but it is what gives him the adorable teddy bear look. We do now know who the owner of Boo is after 3 years of successfully hiding her identity and using the pseudo name J.H. Lee. She was an employee of Facebook when she created the Facebook Fanpage, which started a controversy about whether she got any help from inside Facebook to make her puppy famous. Even if she got help from engineering friends or knew some of the tricks to be seen by 1000s of people, it never forced people to like the page. Boo’s natural charm and cuteness were all people needed to see to click like and make him the most famous dog in the world. 17+ Million people are happy it did, can you imagine the world without Boo? Would any of the other celebrity dogs have become as popular or even created a Facebook or Instagram for their puppies if Boo hadn’t led the charge and became as famous as he is? We’ll never know, and I’m thankful for that because a life without photos from the cutest dog in the world in it is less cute. You may still be wondering who Boo’s Owner is? She started the Facebook page never wanting to be in the spotlight, but to take and share cute pictures of her puppy. Boo should be living a paparazzi free life, where no one disturbs his naps. His owner has made him one of the most fashionable puppies around. He wears a different outfit almost every day, except for naked Wednesdays, where he gets to be free. When it’s raining, the ground is too hot, or he has to deal with rough terrain he loves to wear the Pawz Water-Proof Dog Boots If you want your puppy to have more fashion in their life like boo. Born June 21st, 2003, Boo’s best friend and older brother. 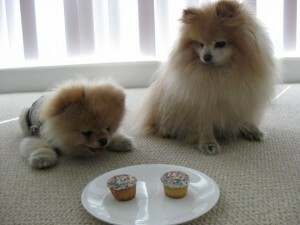 He’s been there since the beginning, is incredibly patient with Boo and mentors him to be the best Pomeranian he can. Buddy facts from Boo’s fanpage: Buddy fact #9: Buddy makes everyone feel like a superhero. When we are out saving the world, no cookie will go unnoticed!” “Buddy fact #8: Buddy is extremely curious and on his way to making his mark in history as one of the world’s greatest explorers. it is so fun running alongside him on all his adventures! next up: making fire!” You can find more buddy facts on the official Boo Facebook Fanpage. Introduced to the world on February 14th, 2015 at 10 weeks old, Blue the puppy Golden Retriever, is the littlest brother in age, but biggest brother by size, starting the #b3misfits / Blonde Mafia, the cutest gang of puppies in the world. Favorite treats are Dogswell Jerky Treats which are all natural and taste like people food. Visit our friends at Pet Consider for some human foods your dog can safely eat. A casual t-shirt with brown and orange stripes. Orange is his favorite color! Any squeaky dog toy like his purple platypus really gets him excited. He is well deserving of his fame as he wants to people to celebrate his birthday, not by sending gifts and treats, but by supporting the humans around the world. Boo has dedicated his last 5 birthdays and raised a significant amount of money. It just goes to show you that anyone can make a large impact on the world no matter their size. 5th birthday he raised over $5,000 for Operation Smile , which helps children all over the world who have been born with a cleft lip. 6th birthday he helped raised money for Freedom House, a shelter for survivors of slavery and human trafficking. Donations went to the care and services the survivors needed to rebuild their lives. 8th birthday he had a goal of raising $10,000 for charity: water, which builds clean water projects around the world and his fans came through bigger than ever before with 3 times more than he had hoped for, donating $30,015 in total. 9th birthday he decided to help the humans and his fellow tiny dogs. In honor of Boo, Virgin America donated $10 to San Francisco Animal Care & Control for each plane ticket sold. He also had the privilege of being part of the 6th operation Chihuahua, where they fly 12 lucky chihuahuas to the east coast where they will be adopted and live happier lives in the big city. For his human friends, he asked for donations to the Lucile Packard Children’s Hospital. The donations went to help support care comfort and cures for the mini humans. His goal was only $9,000 and his support again was overwhelming raising $20,696 with an additional $9,000 donated by Boo personally.